TPMS (Tire Pressure Monitoring Systems) – what is that? A Tire Pressure Monitoring System (TPMS), or Reifendruck-Kontrollsystem (RDKS), is “…a system fitted on a vehicle which can evaluate the pressure of the tires or the variation of pressure over time and transmit corresponding information to the user while the vehicle is running” (chapter I, article 3, number 7 of the EU regulation 661/2009). This technical monitoring of the tire pressure in everyday life is useful because many tire damages come into being due to loss of pressure which is often recognized too late by the drivers of the vehicles. A tire pressure that is too low again leads to higher fuel consumption and a weakened driving behaviour. Closely related to that is an increase of the tire temperature as well as a greater wear - and finally the tires can suddenly burst because of the tire pressure that is too low, a big safety risk for all vehicle passengers! According to this, all new type approved vehicles of the class M1/M1G have had to be fitted with a Tire Pressure Monitoring System (TPMS) according to ECE-R 64 since November 1st, 2012. In the EU regulation 661/2009 as of July 13th, 2009, the legislator does not regulate which TPMS (active/direct or passive/indirect) need to be fitted - as long as TPMS meet the ECE-R64, active/direct and passive/indirect TPMS are permitted. For an active TPMS a programmed tire pressure monitoring sensor which measures the temperature of each tire in addition to the tire pressure is installed on each tire. The measured values are sent to the control unit in the vehicle (usually the on-board computer of the vehicle) when the vehicle is driving together with an individual identification of the tire pressure monitoring sensor. Active Tire Pressure Monitoring Systems offer more safety! Active TPMS with tire pressure monitoring sensors work more detailed because they can recognise slower loss of diffusions as well as fast pressure loss. In a few years active TPMS and tire pressure monitoring sensors will be so naturally a part of the vehicle equipment as ABS is today. But despite the additional safety you should not forget that TPMS and tire pressure monitoring sensors can neither correct the tire pressure themselves nor give information about the tread depth of the tires - tires are the link between the vehicle and the road, and therefore it is important to check the tires regularly oneself or to have it checked in one of our branches. Note: As a standard our complete wheel fitting is made without the tire pressure monitoring sensor. Please keep in mind that starting from November 1st, 2014 all newly registered vehicles in the EU of the class M1/M1G (passenger cars, cross-country vehicles and mobile homes) need to have a TPMS. If your vehicle has an active or direct TPMS with tire pressure monitoring sensors, you can order tire pressure monitoring sensors as an additional equipment for specific models of a vehicle. This possibility is shown to you, as far as it is offered by us, during the order process. Tire pressure monitoring sensors ordered by you will be fitted onto your complete wheel and programmed by us and you need to activate it on your vehicle after receipt. On the start page type in your tyre data and then display the corresponding tyres in a list. Alternatively, you can use the "Tyres" menu item. Here you have further selection options. Pick your tire. We provide a wealth of information on each tyre, making it easy for you to choose the right tyre. Order easily and conveniently. We will guide you step by step through the ordering process after you have logged in. Choose where delivery is to be made: to your address, to a reifencom branch or to an installation partner. For technical reasons, we can only process orders that are submitted directly via our online shop. We cannot accept orders that are submitted via fax, letter or by email! Where do I find my credit card's confirmation number? The confirmation number is designed to reduce misuse of your credit card data, thereby limiting the probability of financial losses for the purchaser as well as for the merchant. What happens to my credit card data? Credit card data (as well as all other data provided via secure SSL forms) is transferred encrypted from your Internet browser to our web server. The data you entered is only used for the payment transaction. We don't store your credit card's confirmation number for any longer than the one-time debiting of your card for the order. PayPal is an online payment service that allows you to shop securely, conveniently, and quickly in online shops – for free. Secure: Your bank or credit card data is only stored with PayPal. That means that you don't need to send your information each time you shop online. Convenient: You can pay with just a few clicks. Since you only need to access your bank or credit card data as it is stored with PayPal, you don't have to enter it again next time. Fast: PayPal payments take place quickly. This enables the vendor to send the items immediately, which means you receive them sooner. Link your bank account or your credit card with your PayPal account. Right away, you'll be able to pay via PayPal. 90 days deferred payment – no problem at all! Use our generous deferred payment scheme and forget about paying for 90 days. We shall calculate a small interest fee of only 2.0% and an one-time administrative fee of 5.00 EUR in addition to the cash payment price (e.g. for 100.00 €, an interest fee of 2.00 EUR + 5.00 EUR administrative fee = 107.00 EUR). How can I pay at reifen.com stores? Additional costs only occur for you when choosing the payment methods “Payment pause”, “Financing” or “Instalment Powered by PayPal"
Independent of the payment method chosen, you receive an invoice via email. The order overview in the shop cannot be used as an invoice. Note: In our reifen.com branches we accept cash, EC cards, financing and invoice. The reifencom GmbH reserves the right to exclude certain payment methods in individual cases. Unfortunately payment by sending cash or cheques is not possible. Schober Information Group Deutschland GmbH, Max.-Eyth-Str. 6-10, 71254 Ditzingen, Germany. Due to our internal credit policy we reserve the right to exclude these payment methods after completed check. Do I have the right to withdraw? Detailed information about your right to withdraw is available in our General Terms of Service. Are the tyres actually new? In the segment of quality, branded and premium tyres we only sell new tyres. Our tyres always meet the highest requirements and are taken from the current production of the corresponding manufacturers. We place the greatest value on the quality of our tyres. We also place the greatest value on the quality of our retread tyres of European origin to which, at the time of delivery, the same warranty and product liability criteria do, of course apply, as to new tyres. Tyre age - how long may an unused product actually be sold as a new product? In the segment of quality, brand and premium tyres, we exclusively sell new tyres from the running production of the corresponding manufacturer. The same applies for our tyres for two-wheeled vehicles. We always sell the tyres from the most current productions. As we also provide very special motorcycle tyres that are produced individually for specific motorcycle types (special identification), older years of production are occasionally also sold; however these are always kept in a good order and condition due to professional storage. What accessories are included with rims? Provided that special fixing material is required, this will be included. Do your rims and complete wheels include a general operating permit (ABE)? A general operating permit (ABE) is always included. What does a complete wheel include? All complete wheels are mounted individually for you. Our complete wheel prices include rims, tyres, valves, installation of the tyre on the rim, balancing, any neccessary fixing material and a general operating permit (ABE). If you live close to one of our branches, then you may have your tyres installed there right away. Otherwise, you may have your tyres installed by a tyre dealer or at a workshop close to you. What information is on a tyre? 11: The indication “Three peak mountain snow flake” (3PMSF) is awarded from the American road administration and marks tyres, which reach in a test a better traction on ice and snow compared to a reference tyre. 13: The M+S symbol (mud and snow) is an unprotected identification of a tyre, whose tread, tread compound or structure is primarily designed to give a better driving - and traction performance on snow compared to a tire without M+S symbol (EU Regulation no. 661/2009 of 13 July 2009 ). 14: The ECE mark certification agreed upon by the Economic Commission for Europe (ECE) is a marking of the vehicle components subject to approval. It consists of a capital E in a circle as well as an approval number related to the ECE Regulation and proves that the components marked that way have undergone all tests and approvals and that an ECE design certification has been given. The states and offices participating in the ECE procedure acknowledge the design certifications given by the others. The delivery to France, Italy, Austria, Switzerland and Denmark isn´t possible if you order via reifen.com . What do I do in case the goods ever have a defect/lack? What can I do if something has gone wrong with my order?
. Describe in brief what has gone wrong and we'll do our best to take care of the issue. I only received part of my order. When will the rest of the order arrive? If a portion of your order is missing, then you will likely receive it the next day. Many delivery services will put off part of an order until the next day due to excessive loads on their delivery vehicles. How do you deliver, and what happens if I'm not at home? We deliver via DPD (Deutscher Paketdienst). In case you are not home when your order is delivered, DPD will leave a note and then try to deliver again later. In case DPD cannot reach you three times, your package will be sent back to us. Do I require wheel bolts for complete steel wheels if I already have wheel bolts? If these are the original serial-production wheel bolts, then you can use these and do not need to order any more. The wheel bolts that are offered in your shopping cart may be removed from the order by clicking the small X beside the item. Is there any marking for winter tyres that I can use to recognise whether or not a tyre meets the minimum legal requirements? For car, off-road, SUV and light lorry tyres, the minimum tread depth is 4 mm; for lorry and bus tyres, the minimum tread depth amounts to between 6-8 mm (at least for the tyres on the drive/traction axle). According to UN-ECE regulations (ECE-R30 and 54), EC Directive 92/23 EEC and StVZO (§ 36), winter tyres must be marked by the letters "M+S". This also applies to year-round tyres (all-season, all-weather), which also bear the marking "M+S". The snowflake symbol is an another asset during winter and marks “thoroughbred winter tyres”. This means that according to the SRTT Standard (Standard Reference Test Tyre), a winter tyre must feature a minimum of 7% improved traction value on snow than any normal tyre that is marked "M+S". Such tyres only receive the snowflake symbol. Do you have special offers for merchants? Merchants may shop via a separate website at www.b2b-reifen.com. Any interested merchants may register here. Basically, any wide-base tyre with the same volume of air as the serial-production model also requires the same air pressure. For safety reasons, wide tyres may, however, require different pressure values than standard tyres. This depends on the load on the particular tyre, the vehicle's top speed and the load index (LI). Indicators of the tyre's pressure values are always the manufacturer's specifications and your particular vehicle's operating manual. With sofortbanking you can pay easily and securely with your online banking account. No registration is required. Just use your normal login information to your existing online banking account. sofortbanking is the direct payment method of Payment Network AG. sofortbanking allows you to directly and automatically trigger a credit transfer during your online purchase with your online banking information. A transfer order is instantly confirmed to merchant allowing an instant delivery of goods and services. .
sofortbanking has been certified by the largest German quality and security institute, the TÜV, according to best-practice data privacy standards. There is no need for an additional registration or a credit card. It works simply, secure and fast with your online banking account. 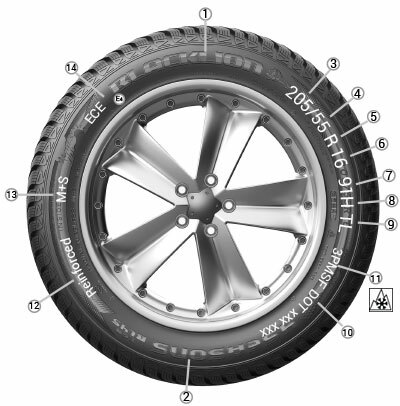 Starting on November 1st, 2012 the new European Tyre Labelling Regulation EU/1222/2009, short EU Tyre Label, applies. This regulation applies for all newly produced tyres from CW27/2012 onwards. The EU Tyre Label informs about the criteria fuel efficiency, wet grip and external rolling noise, and is binding for all tyres of cars, light trucks and trucks (C1, C2 and C3) across the EU member states. The aim of the EU Tyre Label is to increase the safety, environmental protection and economic efficiency of road transport by promoting fuel-efficient and safe tyres with low noise levels. Next to the EU Tyre Label you should continue to include relevant tyre tests as an important factor in your buying decision, as the new EU Tyre Label only tests three important criteria. This means that for instance neither the drivability of summer tyres on a dry road nor the grip on snow of winter tyres is tested. Every tyre and every tyre size has its own EU Tyre Label because the different tyre sizes of one item number of one manufacturer behave differently regarding the three characteristics fuel efficiency, wet grip and external rolling noise. To which tyres does the EU Tyre Label apply and to which does it not apply? The EU Tyre Label is binding for all tyres of cars, light trucks and trucks (C1, C2 and C3) across the EU member states which have been produced after July 1st, 2012. The respective vehicle class is given at the left bottom of the EU Tyre Label. Which criteria are valuated through the EU Tyre Label? Fuel efficiency is measured by means of the rolling resistance of a tyre: The lower it is, the lower the fuel consumption. The categorization of fuel efficiency is made on a scale of seven classes: from A (greatest efficiency) to G (lowest efficiency), whereby class D is not used. An improvement from one class to the next more efficient class means an approximate saving of 0.1 l fuel per 100 km. Rolling resistance is the force that has to be set against the direction of movement of the tyre. Force is demanded by the vehicle engine in order to compensate for the rolling resistance. Thereby fuel is consumed. The following guides as a rule of thumb for cars: A reduction of the rolling resistance by 6% leads to a reduction of fuel consumption by 1%. The data about the energy efficiency rating as part of fuel efficiency are the result of a harmonized testing procedure. The wet grip is subdivided into the classes A (shortest breaking distance) to G (longest breaking distance), whereby class D and G are not used. When going 80 km/h on a wet road, the difference in the breaking distance between adjacent categories (from one class to the following better class) is between 1 and 2 car lengths (3-6 m). Wet grip refers to the bailout of tyres. It stands for the breaking ability of a tyre on a wet road. There are further parameters like e.g. roadholding or breaking behaviour on wet and dry road at higher speeds or the aquaplaning behaviour. For the Label, wet grip was chosen as the most significant aspect regarding reduced adhesion. As it was the case with the data about the energy efficiency rating, the data about the wet grip class are the result of a harmonized testing procedure. The noise emission of a tyre has an effect on the total noise level of the vehicle and does not only influence one’s own riding comfort, but also the noise pollution of the environment. The external soundscape is measured exclusively; interior noise is excluded. 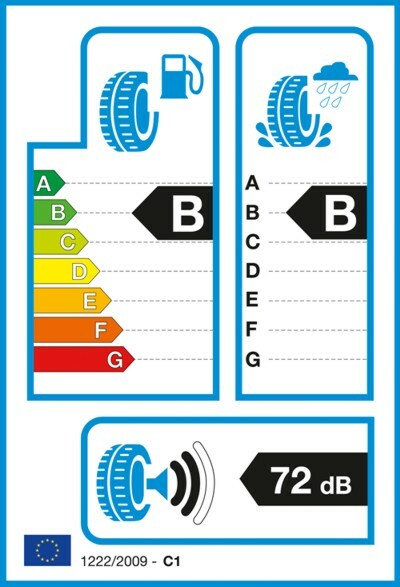 In the EU Tyre Label the external rolling noise is divided into three categories, measured in decibel (dB) and compared with the European noise emission limits for external rolling noise of tyres. The general rule hereby is: The fewer black lines there are, the lower the external rolling noise as measured according to the EU limit. Where are the Label data for my tyres published / shown? On our homepage we directly inform you at the item as well as in the list of results about the respective Label data to your tyre. Furthermore the individual classifications are sent together with the invoice. The tyres issued in our branches in Germany also have the Tyre Label and are handed out to you with the offer or invoice. Are the assessment criteria of the Tyre Label sufficient to buy the tyre? Next to the EU Tyre Label you should continue to include relevant tyre tests as an important factor in your buying decision, as the new EU Tyre Label only tests three important criteria. This means that for instance neither the driveability of summer tyres on a dry road nor the grip on snow or breaking on ice of winter tyres is tested. In contrast, you find up to 11 further crucial test criteria for an objective valuation of the tyre characteristics in tyre tests. Reference: BRV Bundesverband Reifenhandel und Vulkaniseur-Handwerk e.V. Further even premium brands hardly reach the “AA-labelling” with the current state of the art. As soon as for example the value of fuel efficiency is changed, this automatically has effects on the wet grip and vice versa. Does the quality of a tyre with EU Tyre Label differ from a tyre without label? No! The tyre manufacturer guarantees that a tyre with the same item number has the same quality no matter if it was produced before or after July 1st, 2012. Therefore you can drive tyres of the same item number with and without EU Tyre Label without worries. What do the industry and organizations say about the EU Tyre Label? Industry and organizations generally welcome the introduction of the EU Tyre Label. That way a basis regarding the customer information, the driving safety and for the reduction of energy consumption and thereby the environmental protection is created. The customer can include this in his buying decision. However, manufacturers point out that relevant tyre tests of the specialist press offer more information than the Tyre Label, which can therefore not serve as a substitution. Furthermore the actual fuel consumption and safety in road transport strongly depend on one’s own driving behaviour. An ecological way of driving can reduce the fuel consumption notably. The mandatory tyre pressure has to be satisfied and checked regularly in order to reach the ideal fuel efficiency and wet grip. 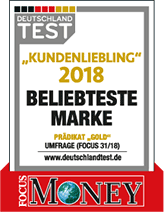 What is reifen.com’s opinion about the EU Tyre Label? We support the effort to bring safety, environmental protection and efficiency into service by promoting fuel efficient, safe and quiet tyres. We believe that you should continue to consult relevant tyre tests in your buying decision next to the EU Label, because the Label only tests three criteria and does not include other important tyre features. For example no other criteria for grip on snow or breaking on ice of winter tyres are considered. Further, the actual fuel consumption and safety on the road are strongly dependent on one’s own driving behaviour. Fuel consumption can be reduced considerably through an ecological way of driving; the required tyre pressure is to be kept and checked regularly in order to reach the ideal fuel efficiency and wet grip. Masterpass™ by Mastercard is a comfortable solution for online shopping with which you can pay your order easily, fast and safely. For that you only need a Masterpass™ account that is free of charge. When setting up the account at https://masterpass.com/# (or alternatively at one of the participating banks) you configurate your account with personal information about your credit card, delivery address and bonus programmes once. After successful account set up you can pay safely with only a few clicks at home or outside, no matter if via PC, tablet or smartphone. Masterpass™ is a brand from Mastercard, a company that has stood for trust and high safety in the payment processing for many years.